Nowadays, people prefer using PDF files because of some reasons. A PDF is very easy to use and create, it has protection, and the format will not be changed, and you can even add comments to the document. That’s why a lot of PDF tools are accessible on the internet today. Here we listed some of the best PDF readers for Windows, which can help you to view your PDF files. The first one is ApowerPDF. This is a one-stop PDF tool that offers a simple yet intuitive interface for smooth access. It lets you view and create PDF, add text or even images, insert watermark, etc. Apart from that, users can do splitting, merging, re-arranging, deleting, inserting and rotating pages in a PDF file. Also, this tool is ideal for any individuals since it has a variety of viewing modes, such as single page view, two-page view, and scrolling page view. With it, reading experience is better and more fun. Here we listed a detailed guide on how this program works. Firstly, download the program and install it on your computer. After the installation process, run the program. From there, click the “Open Files” button and choose the PDF file that you want to read. Finally, you can view and manage your PDF using the best PDF viewer for Windows. 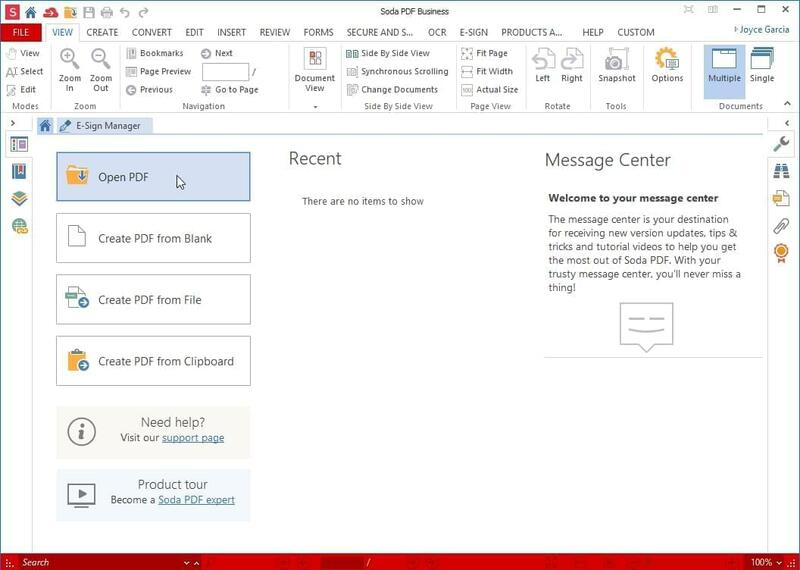 Soda PDF is a PDF reader that you can use on your Windows PC. It can view, create, convert, edit, insert, secure, review, and sign PDF, etc. It also permits users to view and manage two documents simultaneously on the same screen. In addition to that, saving PDF files from OneDrive, Google Drive, Dropbox, and Box is accessible. Besides, it provides different versions that fit your needs, which include Home, Premium, and Business. All of them have a 30-day free trial. Another program that can view PDF document is PDFelement. This is an all-in-one PDF editing tool, by using which you can organize, create and protect files. 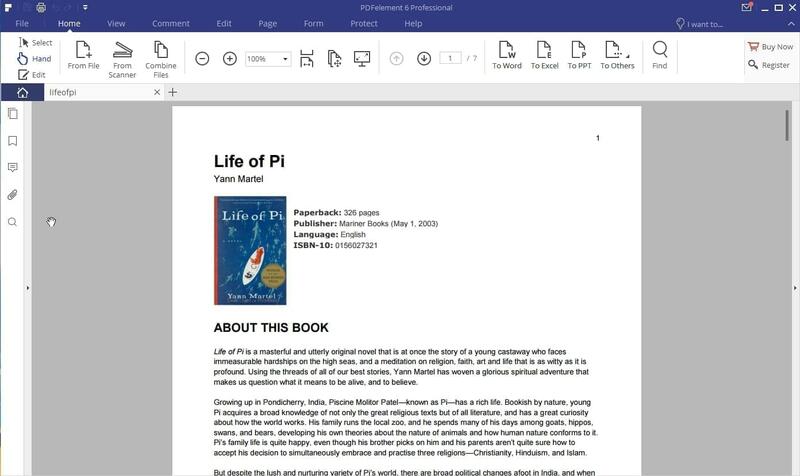 It lets you edit text, images, split, merge, extract, annotate, cut and rotate PDF. Furthermore, it supports conversion features for your PDF to Word, Excel, PowerPoint, EPUB, JPG, PNG, HTML, RTF, GIF and TIFF. It can compress PDF file size into a smaller one without any quality loss. 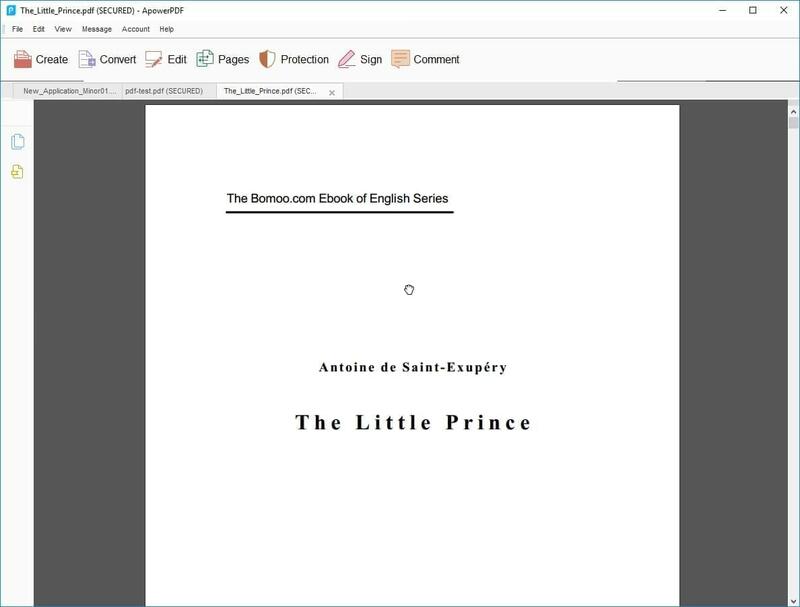 The next PDF viewer for Windows is Adobe Reader. As the name implies, the main purpose of this software is to read PDF files as well as to edit. Moreover, you can do more with this program such as create, convert PDF, fill, sign, combine files, organize pages, and many more. In addition, users can conveniently access their PDF files since it has a smooth and simple interface. PDFescape is a free web-based PDF tool. With it, users can quickly view PDF files using a browser like Chrome, Internet Explorer, Firefox, and Opera. This program contains useful functions such as create and edit PDF files, annotate, fill out, add a password, share documents online, and so on. Aside from that, users can install the Premium to experience more features of the tool, including edit text and images, merge, convert to any other file format, add watermark, and a lot more. 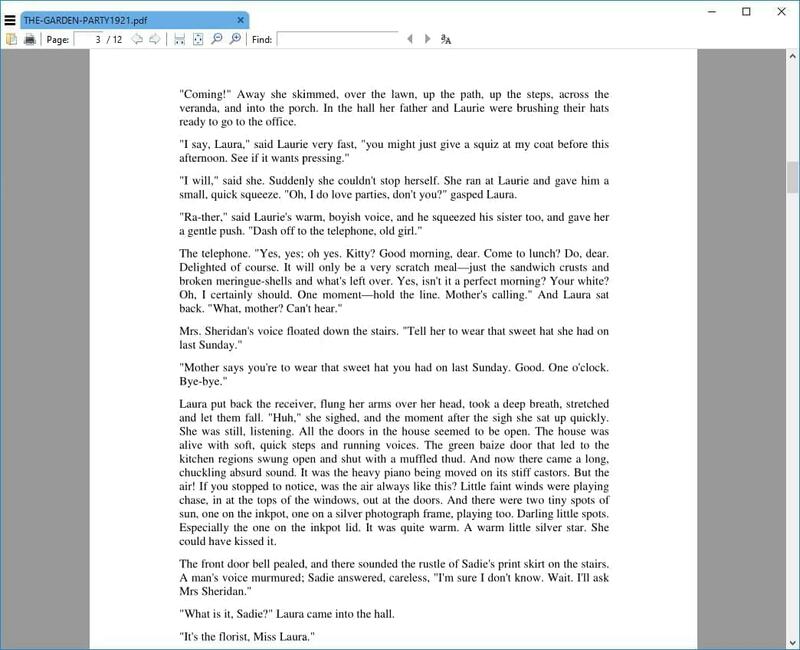 Another alternative PDF reader for Windows is Nitro Reader. This program provides a simple interface for PDF reading. It also has some other useful features, including create PDF, add comments to PDF, highlight, annotate, underline, and add bookmarks PDF and so forth. Besides, you can use the free trial up to 14 days. After that, you can download the Pro version which has a lot of exciting features. The last tool is Sumatra PDF. 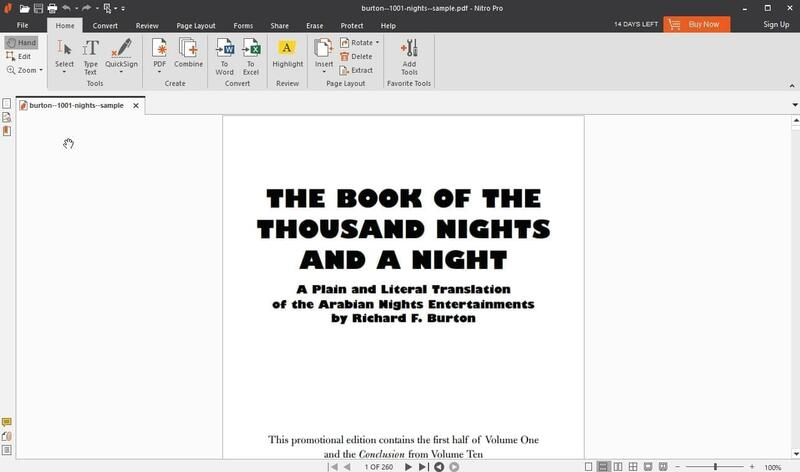 Just like the other tools, this is a free PDF reader for your Windows PC. It has different kinds of viewing display such as Single Page, Facing Book View, and presentation. What’s more, this software perfectly fits Windows XP, Vista, 7, and 8. However, this is not supported to create and edit PDF files. All of these practical tools have their own unique features. PDFescape can be used even without installing any program. Conversely, ApowerPDF, Soda PDF, PDF Element and Nitro Reader and Sumatra PDF provide a desktop version. They are the best free PDF readers for Windows, while ApowerPDF shines among them because it has everything you need in a PDF tool.